Osteopaths are able to treat a range of neck conditions that include stiffness, whiplash, torticollis, slipped disc and tension headaches that can accompany symptoms of neck pain. Many people develop a stiff and painful neck for no obvious reason. It may happen after sleeping or sitting in a draught or perhaps after a minor twisting injury, for example while cleaning or gardening. The underlying cause for this type of neck pain is not fully understood, so it is called ‘non-specific neck pain’. Having non-specific neck pain does not mean that your neck is damaged and often it happens in people whose necks would appear completely normal under an x-ray. Neck pain can range from sudden, debilitating pain that restricts movement to general discomfort and stiffness from prolonged office working or driving. Osteopaths are also able to investigate and address associated symptoms that can often accompany neck pain, including jaw pain or TMJ dysfunction; headaches, shoulder pain and upper back pain. In some cases neck pain can also be accompanied by numbness, pins and needles and/or weakness in the arms or fingers. Osteopaths are clinical professionals who are trained to provide appropriate examination and diagnosis for your symptoms. 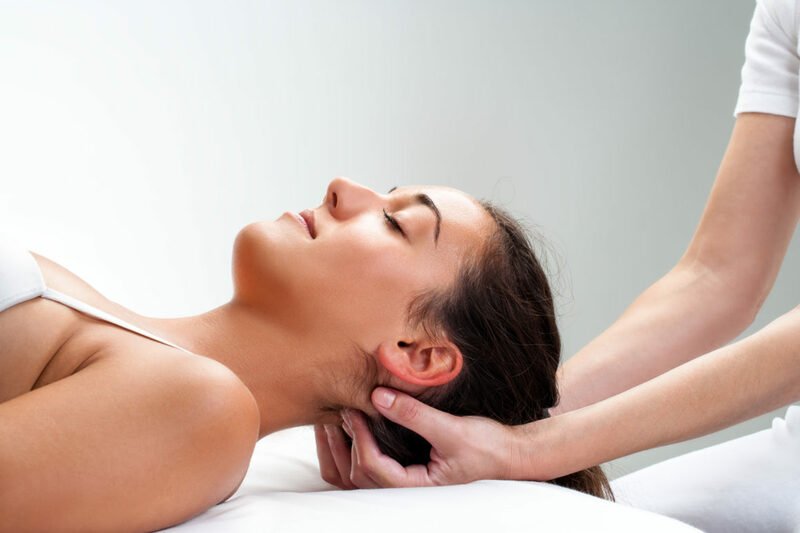 At Sabai Leela Osteopathy we use a wide variety of techniques that can be used for acute/subacute neck pain including soft tissue therapy and mobilisation to reduce pain, restore neck joint position sense and improve muscle activation. We may also use techniques such as articulation and manipulation for joint release where necessary, and/or gentle Cranial Osteopathic techniques to rebalance and ease the function of the spine and cranium. Recommended exercises for correcting poor posture are also a part of treatment and consultation. Our aim is to provide you with relief as quickly as possible and diagnose what the initial cause for neck pain might be and address them for long term relief.